The total land area is 103,000 km2 which makes Iceland the second largest island in Europe after Great Britain. In 2018, the population of Iceland is 337,780 with immigrants make up 11% of the total population. Iceland does not have military forces but a member of NATO (North Atlantic Treaty Organization). The currency is Icelandic Króna (ISK). The average life expectancy is 83 years (81 years for men, 85 years for women). 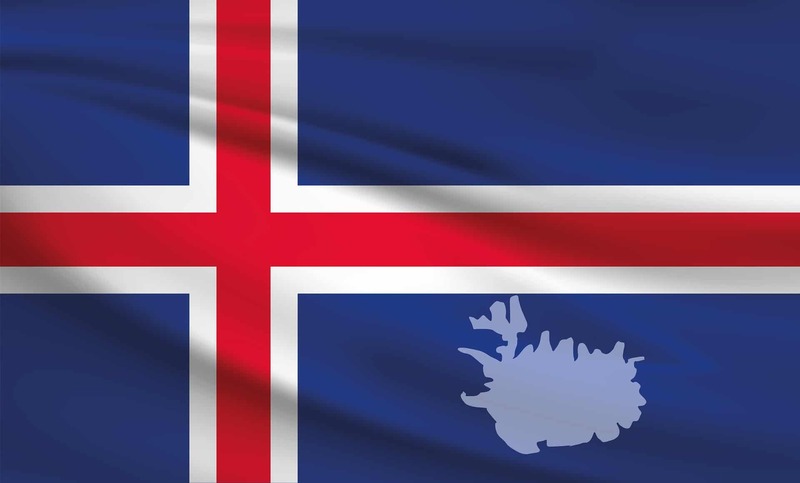 Iceland gained independence from Denmark on 17 June 1944. However, under the Danish-Iceland Act of Union in 1918 , the Icelandic Krona was formally established as the country’s official currency and the Icelandic authority granted its economic autonomy which was on a poor state. Iceland was among the poorest states in Western Europe, with a GDP per capita equivalent to today’s low-income countries. Through a long and windy road including great depression post World War I and global economic crisis in 2008, Iceland has now become a high income, matured and modern economy. On the international scale, the Icelandic Economy is relatively small. It is approximately 0.65% of the German economy, 0.12% of the United States economy and 0.92% of the Great Britain economy. Iceland’s economy combines a capitalist structure and free market principles with an extensive Nordic model welfare system. In terms of GDP per capita according to the IMF data, Iceland currently sits in 16th place internationally with 52,000 USD (PPP). The main sectors contribute to the Icelandic economy are: the tourism industry as Iceland’s largest export sector accounted of 42%, follow by the fishing industry 17% and aluminum 16%. In 1970, Iceland joined the European Free Trade Area (EFTA) and entered the European Economic Area (EEA) in 1994. Iceland is not a member of the European Union. However as the member of the EEA, Iceland also applies the EU legislation in all policy areas of the single market, i.e the free movement of goods, services, persons, and capital including being part of the Schengen Area. During the mid-2000s, the small nation of less than 350,000 of population tapped into the global finance. Their Economic prosperity was supported by the fishing and aluminum industry. In 2008, the financial crisis hit the global economy including Iceland which triggered by the collapse of the banking sector which involved the country´s major privately owned commercial banks Kaupthing, Landsbanki and Glitnir. Given the size of its economy, Iceland’s financial crisis was the largest in the world. The impact of the crisis was severe and hurt the nation, especially the middle-class families which tended to be vulnerable in a crisis; people lost their jobs and their homes due to the skyrocketing inflation and increase of the mortgage loan as well as other loans. The value of Krona was plummeted against foreign currencies such as USD, EURO and Japanese Yen. The economic depression lasted for 2 years 2008-2010 before it was slowly picking up again due to the booming of the Icelandic tourism industry. 2018 marked 10 years since Iceland suffered the worst financial crisis since The Great Depression. How do we recover? The ruling government under the IMF guidance reduced government deficit by cutting public spending and raising taxes. The three commercial banks were nationalized and naughty bankers were later jailed with charges ranging from fraud and market manipulation. To boost the economic growth, following the devaluation of the Icelandic domestic currency, Icelandic exports and foreign visitors increased considerably. Not to miss out the opportunity, the government invested modestly in the tourism industry to attract the foreign money coming into the country. A team under the brand Inspired by Iceland was responsible with the global marketing and advertisement which has been well received within the international tourism industry. Consequently, the number of foreign visitors grew on average 20 percent per year between 2010 and 2014. In 2015-2018, this rapid increase has continued, with the number of foreign visitors already exceeding 1 million. The Icelandic economy relies heavily on the three main sources of income: tourism, fishery and aluminum industries. The three commercial banks are remained as state-owned companies. Due to its growing services surplus, Iceland now has a strong current account surplus and the economy has returned to strong growth. Consequently, the country is currently attractive for foreign investments. The local currency ISK is now at a better state against other foreign currencies compared to 10 years ago. The fluctuation is showing the same pattern ranged between 115 – 130 Króna against the USD and 120-140 against the Euro.